One bag is obviously not enough! 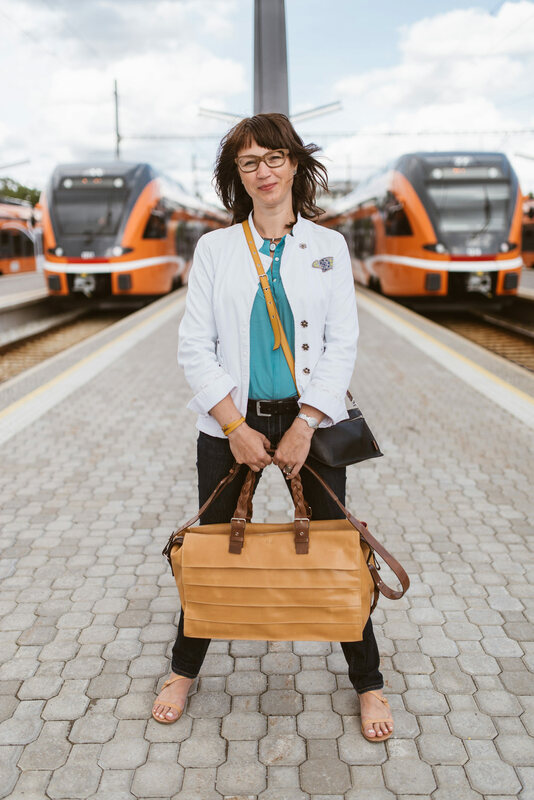 She works in law – so during the day you can find her very disciplined and rather strict, but in real life we have a happy and sincere person who finds time to travel, take her child to craft workshops and make leather shoes for porcelain dolls – here she comes, pump-a-rum! - I give you the full-of-joy-and-laughter Katrin. 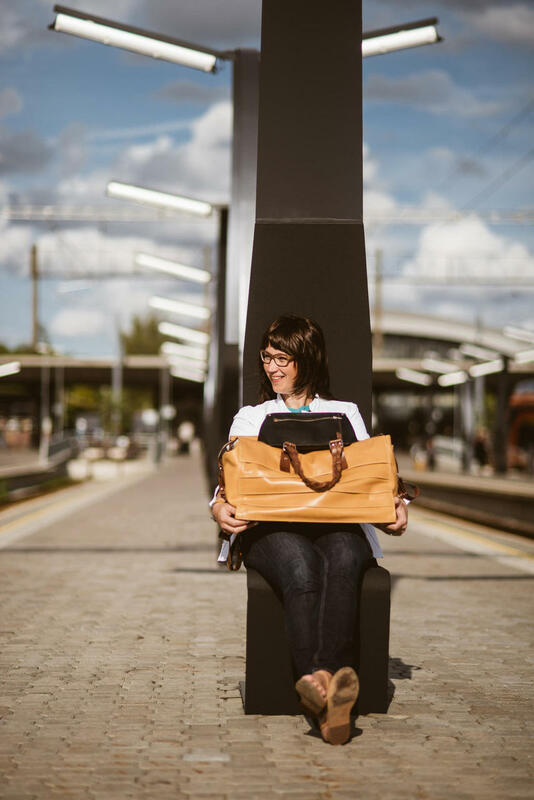 I met Katrin a few years ago when she wrote me with the wish to place an order for a set of bags – a big one for weekend travels and a smaller one for everyday gadgets. We found a suitable everyday bag from the existing models but the bigger one we started from scratch. 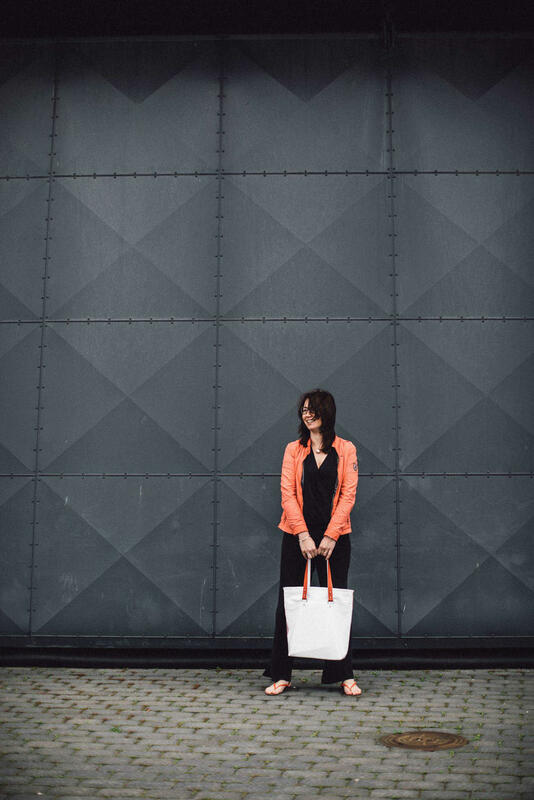 To house Katrin’s whole life, we made a bag that has a huge mouth and can swallow a ton of things but is still small enough to satisfy the common airline restrictions. 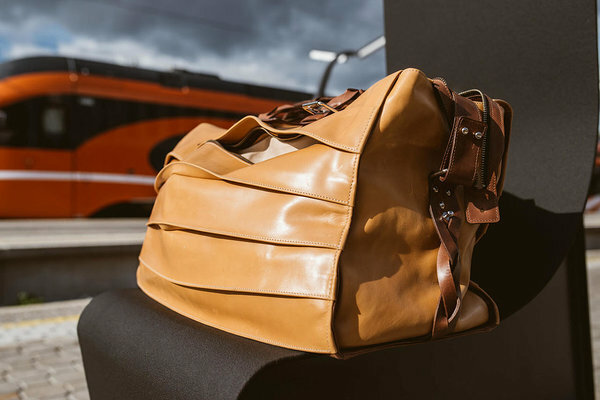 It has a set of gills that makes the bag breathe when it moves and also hides a secret pocket that gives even more volume to the bag-creature. Katrin loves simple lines in her life but yet there is always room for some quirky little nuances and so we added a few braids to give that soft and twisty feminine touch. Colour-wise traditional and calm from the outside but surprisingly pink inside – you know you have to dig deeper for that real zing. Today Katrin is one of my gold clients. A year after taking part in countless workshops she placed yet another order for some new summery accessories. This time we made a small and compact wallet and a big bright bag whose straps can be easily turned and used as white or orange. 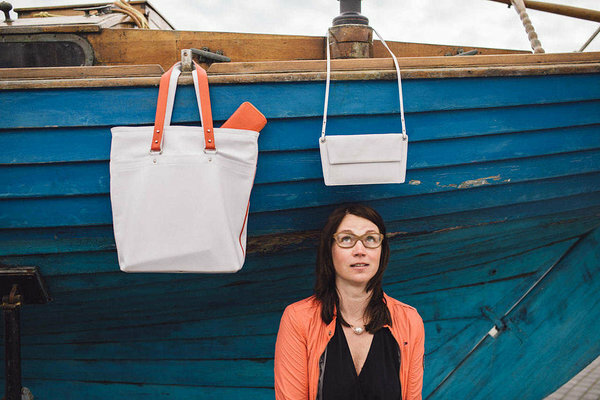 The tote came with a little white bag that can act as a pocket for the bigger fellow or serve as an individual clutch. 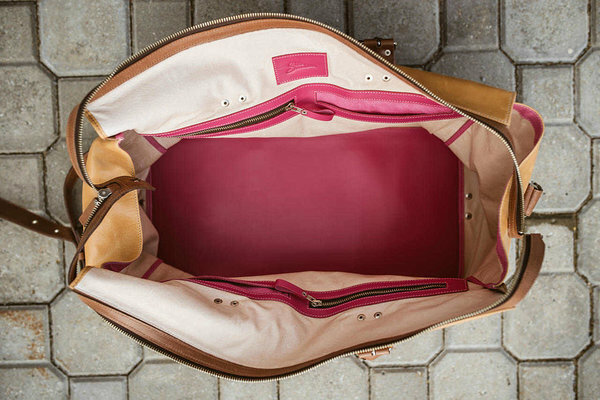 As a pocket it perfects the big bag into a true organizer: every key and gadget has its own place in this mini bag-world. 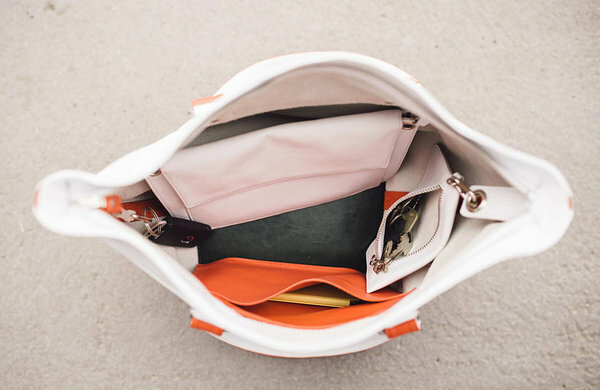 Similar to its last year sibling this bag also reveals its true nature only when you take a glance inside – the white exterior caresses a bright happy sun in its heart. The photos taken in the homes of trains and ships are took by Tõnu Tunnel.